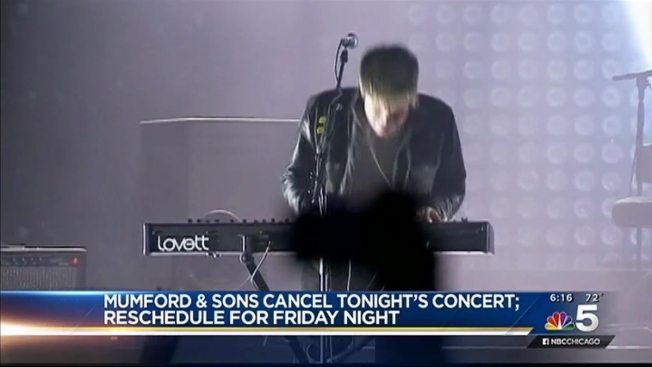 Mumford & Sons' Wednesday evening concert at Cricket Hall has been postponed until Friday, June 19, with the past few days of severe weather across the Chicago area to blame for the disappointing news. "We are so sorry," the band wrote. "We are absolutely gutted and more than a little frustrated - this is our biggest ever headline show away from home, so you can understand that for all the days not to be able to do a show, this one hurts the most." JAM Productions, the promoter for the Uptown show, said in a statement the past several days of consecutive rain have impacted the crew's ability to get the concert site completed in time for the show, a sentiment that band echoed. Residents in Uptown are worried upcoming show will cause problems. "Despite huge efforts against really unfavourable [sic] weather, the local promoters have been unable to build us a stage in time for the show tonight. It takes a lot for us to pull a show, it's something we try to avoid at all costs, but tonight it's just not going to happen. Of course we are devastated," the band wrote. Tickets purchased for Wednesday's show will be honored at the gates on Friday, JAM Productions announced. Fans unable to attend Friday’s rescheduled show can obtain a refund via the ticket-seller’s website. Anyone needing refunds who purchased tickets at The Vic Theatre box office should bring their ticket back to The Vic for a refund, according to JAM. JAM also stated that fans unable to attend the Montrose concert can use their ticket for entry at the band’s Gentlemen Of The Road Stopover in Waverly, Iowa this weekend. Tickets will be honored at the gates for both Friday and Saturday. More information is available here. The city's North Side had expressed worry Wednesday morning about the potential travel nightmare ahead of the sold-out show that was to be at Cricket Hill near Montrose Beach Wednesday evening. Concert goers were warned to ride a bike or rent a Divvy to get to Montrose Beach as there would be no on-site parking for the roughly 35,000 people expected to attend. 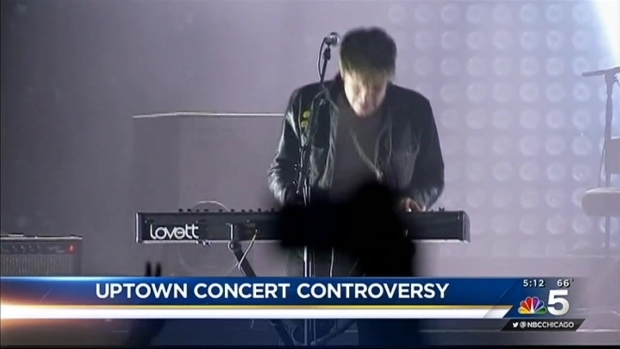 The Mumford & Sons show will be the first big concert to be hosted at the venue. The Maccabees are set to perform as the band’s opening act.